Boronia Beach is an intimate beach hidden on the Kingborough coastline between Kingston and Blackmans Bay. Nestled between rugged cliffs and tall pines the beach is a great spot for a summer’s swin or snorkle. 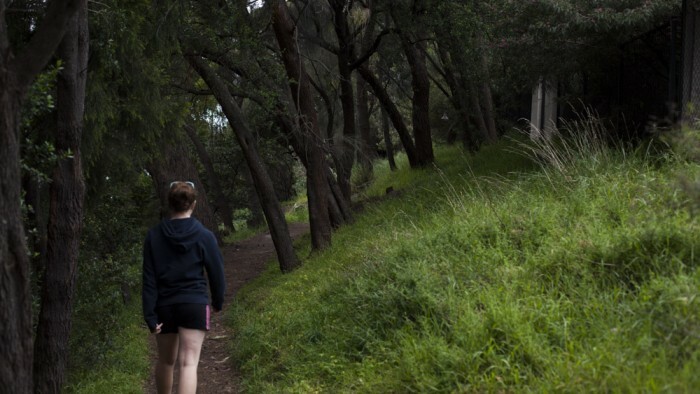 Though it can be accessed by a shorter route via the lower section of Jindabyne Road, the longer walk offers lovely views of the Derwent River and South Arm. Leaving from the southern end of Kingston Beach, the track hugs the coastal headland for entire 2km return walk, ducking in and out of blue gum and sheoak bushland. The walk is primarily flat apart from a final series of steps heading down onto the beach. Please note dogs are only allowed within the first half of the walk. View Google Map Directions From Hobart head south along the Southern Outlet (A6) for 10km towards Kingston. Keep left and stay on the A6 heading into Kingston onto Beach Road. Continue along this road, turning right onto the Esplanade, following it to its end before turning onto Mount Royal Road. 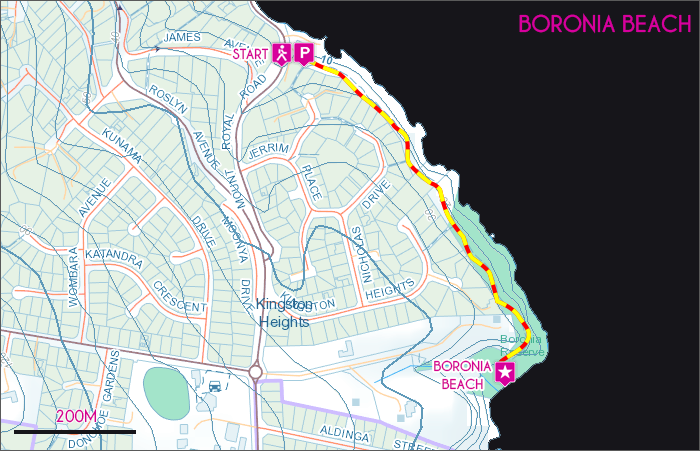 The Boronia Beach track begins just above the end of Kingston Beach and parking is provided adjacent to Mount Royal Road.